The NUVAFLEX Series inks have been developed to provide a complete library of UV & WB Flexographic inks with unrivaled value encompassing all the industry trends and needs. The NUVAFLEX Series of Flexographic Inks were developed to provide unmatched performance and value. 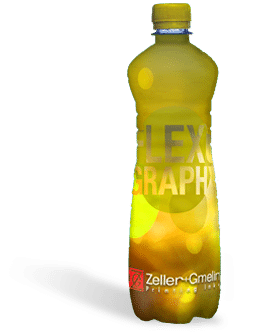 Through advanced ink formulation, technology, enhanced manufacturing processes and our unparalleled support, Zeller+Gmelin has become the solutions resource within the Narrow- & Mid-Web Flexo Industry. NUVAFLEX UV & LED curable inks do not contain silicone or wax, allowing enhanced fusing adhesion to difficult film substrates maximizing true, natural bonding. The advantages available from NUVAFLEX UV & LED inks include unsurpassed pigment strength, low viscosity, free flow rheology, and low odor and extractable components. These benefits provide additional value, allowing for production speeds in excess of 700ft/minute with the correct curing capabilities. 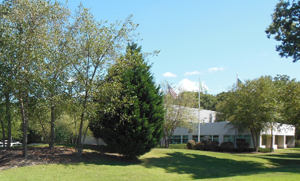 HYDROTEK Waterbased inks provide pressrooms with the most pH stable, operator-friendly products available in the industry today. Extreme on-press stability, low viscosity and high color strength help minimize waste and downtime due to plate washes and operator adjustments. NUVAFLEX® 30 Series – NUVAFLEX® 30 Series base inks are monochromatic pigmented for ease of use along with high level of continued product consistency. 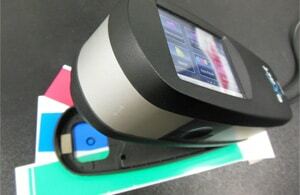 printers in the Label & Packaging printing industry. NUVAFLEX® 33 Series – designed to extend and create new market opportunities in the UV Flexo printing industry. Provides the rheology and flow necessary for chambered doctor blades seen in Arpeco style presses. NUVAFLEX® 37 Series – The 37 Series inks have been designed to extend and create new market opportunities in the UV Flexo printing industry. The HydroTek 45 Series inks have been designed to address the changing production needs of the narrow web flexo label printing industry. Retiring experienced press operators, reduced technical knowledge of new, younger operators and trainees, and the ongoing demand to reduce waste and maximize productivity have guided the development of this extremely pH-stable, low viscosity waterbased ink system. The HydroTek 42 Series inks have been designed to address the changing production needs of the narrow web flexo label printing industry. Retiring experienced press operators, reduced technical knowledge of new, younger operators and trainees, and the ongoing demand to reduce waste and maximize productivity have guided the development of this extremely pH-stable, low viscosity waterbased ink system. The HydroTek 46 Series inks have been designed to address the changing production needs of the narrow web flexo label printing industry. Retiring experienced press operators, reduced technical knowledge of new, younger operators and trainees, and the ongoing demand to reduce waste and maximize productivity have guided the development of this extremely pH-stable, low viscosity waterbased ink system.